Pitcher: LHP Eude Brito, Scranton/Wilkes-Barre. Picked up a win on Saturday, 7 IP, 5 H, 1 R, 1 ER, 2 BB, 5 SO. The 27-year-old from Sabana de La Mar, DR, has allowed one run or less in six of his 10 starts. Opponents are batting .188 against him. For the season, Brito is 5-2 with a 3.02 ERA. Brito was signed as an amateur free agent in 1998. Player: SS Fidel Hernandez, Lakewood. Posted six straight multi-hit games last week and is currently on a 10-game hitting streak (.487). 14 hits matches SWB’s Bobby Scales for the most hits in a week by a Phillies minor league player this year. For the season, the 20-year-old from Puerto Ordaz, Bolivar, VZ, is hitting .289. He was signed as an amateur free agent three years ago. Split six games . . . LHP Brian Mazone (2-0) picked up a win on Wednesday, 1 R in 6 IP . . . LHP Jim Crowell was pressed into a start two days later. He pitched 5 hitless innings and was lifted after a 55-minute rain delay . . . RF Josh Kroeger hit in all 6 games, extending his hitting streak to 10 games (.405) . . . 2B Joe Thurston had 10 hits and batted .400 during the week. Began the week with 3 straight losses, stretching the losing streak to 8 . . . Rebounded to win the next 4 . . . A streak of 11 straight 1-run losses ended with a 7-6 win on Thursday even though Reading was out-hit, 12-6. RHP Zack Segovia (2-1) got the win . . . The next night was filled with a little of everything. Reading won, 3-0. RHP Scott Mathieson improved to 4-2 but was ejected after 5.2 IP when he hit his 3rd batter of the game. A brawl followed in which 4 Reading players and 5 from Connecticut were ejected. To top off the night, the game included a 54-minute rain delay . . . LHP Gio Gonzalez was 1-1 for 2 starts, 16 SO in 13.2 IP, 6 runs (2 earned). His win came Sunday. Pitching coach Tom Filer: “Best overall outing of the year. Mike Lieberthal worked him well” . . . Veteran OF Matt Padgett and former Reading star Gary Burnham were signed as minor league free agents . . . C Jason Jaramillo has a broken bone in his right hand. He hasn’t played since May 7 and will be out a couple more weeks. Ended a 1-5 week with 4 straight losses . . . RHP Julio De la Cruz picked up a 2-1 win on Tuesday, fanning 11. He has 29 strikeouts in his last 21 IP . . . RH reliever Nathan Johnson gave up 3 runs (2 earned) in the last of the ninth for a 5-4 loss the next day. The earned runs were the first off Johnson since his first game on April 9 . . . RHP Kyle Kendrick dropped a 2-1 decision on Thursday, allowing 4 hits (2 solo homers) in 7 IP. Other than the homers, only 1 other base runner reached second base . . . CF Brian Burgamy has reached base in 25 consecutive games. He hit .364 for the week. Week included a 4-game winning streak out of 7 games . . . LHP Joshua Outman struck out 11 in 7 IP but didn’t get the win in an 8-7, 11-inning Wednesday victory . . . RH reliever Justin Blaine picked up the win the next day with 4 scoreless innings . . . RHP Scott Mitchinson was a 6-2 winner on Friday, throwing 70 strikes out of 94 pitches . . . LHP Matt Maloney split a pair of decisions, fanning 16 in 12.1 IP . . . LF Jeremy Slayden drove in 8 runs on 9 hits during the week . . . CF Greg Golson hit .323 for the week. Phillies have five pitchers among the top 11 strikeout leaders in all of the minor leagues: LHP Matt Maloney (74), RHP Kyle Kendrick (72), RHP Scott Mathieson (71), RHP Carlos Carrasco (70) and LHP Gio Gonzalez (69). (Dallas Green, manager of the 1980 World Champion Phillies, is the 2006 inductee into the Phillies Wall of Fame. The following story appeared in the League Championship Series Program and World Series Program in ’80. Some of you may have read it. Others weren’t born 26 years ago. I thought it was worthy of re-printing). When Dallas Green took over as Phillies manager he decided some things had to be changed, sort of a “do it my way” philosophy. He talked about team, not individual effort and hung signs “We, Not I” in the clubhouse. “Grind it out,” “repair and prepare,” “aggressive baseball,” “character,” “look in the mirror,” “demeanor” and “intensity” were a few of his favorites. The Phillies had great talent, Green knew that. But, he also realized it would take more than just 12-15 players to win this thing. Some managers hum “The Sound of Music” after every game. Some deal in superlatives. Some say what they feel they can. Some say almost nothing. Dallas is different. “I’m an aggressive person, a no-nonsense type. I try to tell it straight and tell it as I feel. I’m spontaneous and say what’s on my mind, right now. Baseball is a season of peaks and valleys. The Phillies had their share of both this summer. Dallas never panicked. He did ruffle some feathers from time to time with his screaming and yelling (“that’s my nature”). But, he drilled into the players they couldn’t quit, he wouldn’t let them. “Regrets, I’ve had a few, but then again, too few to mention. “I did what I had to do, and saw it through without exemption. “I planned each chartered course, each careful step along the way. The big clock in left field said it was two minutes after three. On the green Citizens Bank Park playing field this afternoon, four Milwaukee Brewers were playing catch in left field. Patrolling the outfield were Gary Varsho, Marc Bombard, Bill Dancy, Ramon Henderson, Mick Billmeyer and BP pitcher Steve Toler. Chris Coste was the catcher. The batting cage audience included Charlie Manuel, Milt Thompson, Rich Dubee, Pat Gillick, Ruben Amaro Jr., John Vukovich and trainer Jeff Cooper. A simulated game featuring two Phillies on the disabled list, Aaron Rowand and Mike Lieberthal. They took turns hitting off Tim McClaskey, a Reading Phillies right-hander who came to Philly for the occasion. Rowand and Lieberthal would get their at-bats and then McClaskey would sit in the dugout. Dubee took over on the mound before McClaskey would return for the second inning. A two-inning game would be it. The clock read 3:25. Both Rowand and Lieby went deep in their final at-bat, the balls landing in almost the exact same spot in the empty blue left field seats. Lieby, who was hit on his left knee by a pitch on May 5, then tested his running under the watchful eyes of Varsho, Dancy and Cooper. Discomfort when running had kept him on the DL. Gillick, Amaro, Manuel and Cooper huddled to the right of the batting cage for a few minutes. Rowand would return to the active roster tomorrow when he is eligible and be back in the lineup. Lieby would head to Reading tomorrow for a rehab game or two and then be activated. Rowand stuck around for more BP at 3:35, joining Abraham Nunez, Shane Victorino and Chase Utley, who was wearing the blue Jimmy Rollins Knit Beanie Hat the Phillies gave to fans 15 and over last month. McDonald’s was the sponsor (had to get a commercial in, you know). Tonight all fans will receive a Chase Utley Bobble Figurine, courtesy of Keystates Chrysler Jeep (commercial #2). Each of the four gates at Citizens Bank Park had stacks of bobbles ready, a total of 45,000 bobbles on 102 skids. What is the Phillies record for most bobbles? 65,000 each for Mike Schmidt and Steve Carlton. May 25, 1935. Simple math says that is 71 years ago today. What is the significance of this date, you ask? Well, it was on this date that Babe Ruth hit his 714th and final home run. Actually, he hit three that day against the Pirates at Pittsburgh’s Forbes Field. #714 was the first ever to be hit over the towering right field roof at Forbes. Playing for the Boston Braves, Ruth hit six home runs in 28 games during his final season. Five days later (simple math says May 30), Ruth played his final game in the big leagues and it was against the Phillies, the first game of a doubleheader at Baker Bowl. Ruth started in left field, was third in the batting order, batted once and left the game. No hits, no fly ball outs and one assist. Crowd was listed at 18,000. **His first at-bat in a World Series came against the Phillies at Baker Bowl, October 8, 1915. He grounded out as a pinch-hitter for Ernie Shore in the ninth inning. The Phillies won that game, 3-1, but the Red Sox swept the next four. **His first hit as a member of the Yankees came against the Philadelphia A’s at Shibe Park, April 14, 1920, a first-inning single off Scott Perry. Ruth dropped a line drive that led to two unearned runs and a 3-1 loss for the Yankees. The headline the next day in the Philadelphia Evening Bulletin: “Macks win opener on Ruth’s Muff, 3-1.” Ruth struck out in the fourth inning. “The fans roared for three minutes as Ruth missed three terrific swings,” reported the Evening Bulletin. **Phillies right fielder Clifford Carlton “Gavvy” Cravath set a new single-season home run record for the Major Leagues in 1915 with 24. According to The Ballplayers, Cravath was a “tobacco-chewing, cussing bruiser called ‘Cactus’ for his prickly personality.” What fun today’s media would have in covering such a character. Four years later, Ruth broke Cravath’s record with 29. It was Ruth’s last Red Sox season. **September 29, 1920, Ruth, now with the Yankees, broke his own single-season record by hitting #54. That came in the final game of the season against the A’s at Shibe Park. **Shibe Park was Ruth’s favorite visiting park as he hit 68 there, including six in back-to-back doubleheaders (May 20-21) in 1920. On May 1 of this year, Frank Fitzpatrick of the Philadelphia Inquirer wrote a story about the Babe, what might be his finest tie to Philadelphia. You won’t find it in the record book. This time the date was September 4, 1923. The Rev. William Casey from Ascension of Our Lord Church in the Kensington section of Philadelphia took out a loan and built a baseball field at I and Tioga Streets, Boger Field. Rev. Casey, who also served as the Philadelphia Athletics’ chaplain, realized the collection plate wouldn’t cover the expenses. According to Fitzpatrick, “He noticed that Ruth and the Yankees would be at Shibe Park in September. He knew that Ruth had grown up at St. Mary’s, a Catholic orphanage in Baltimore, and had a soft spot for kids.” Rev. Casey had asked Ruth earlier in the season and the Babe agreed to play a game at Boger Field on their last trip to Philadelphia. That game, Ascension and Babe versus a team from Lit Bros. department store, was scheduled for 6 p.m. after the 3:15 p.m. Yankees-A’s game. Following the 90-minute no-hitter by Sam Jones against the A’s, Ruth was driven to the field where an estimated crowd of 10,000 awaited him. It is a fabulous story filled with lots of details. In summary, Ruth played nine innings, hit a home run, dived in vain to make a catch and signed autographs. Babe Ruth is a legend… in many ways. “I’m not much of a climber, more of a bulldozer,” said Aaron Rowand when he met the Philadelphia media last November following the trade with the White Sox. Making a catch, running into a metal fence, breaking your nose and other facial bones and getting stitches I suppose can be called the work of a bulldozer. On Friday afternoon, he and Mike Lieberthal will hit in a simulated game at Citizens Bank Park. Barring a setback, Rowand will be back in the lineup for the first time since May 11 on Saturday night at Citizens Bank Park. Lieby may also be activated this weekend. If merchandise sales are any indication, it will be buzzing on Saturday night. The Phillies were home last weekend for the first time since “The Catch” for three games with the Red Sox. Through the first 24 games of the season, Rowand’s name and number t-shirts sold on average 12 per game. Last weekend, sales averaged 76 per game, an increase of over 500%. Shane Victorino has certainly done an outstanding job filling in for Rowand. Shane gives the Phillies four quality outfielders. Getting Aaron and Lieby back will be a big boost. What kind of reception will Rowand receive? Player: 2B Peeter Ramos, Clearwater. During 7 games, he batted .385 with 2 doubles, 4 RBI. Included was a 4-hit game. For the month of May, he’s batting .338. A right-handed hitter, the 24-year-old Ramos was a triple-A rule 5 draft selection last December. Pitcher: RH Carlos Carrasco, Lakewood. In 1 start, he struck out a season-high 10 in 7.2 innings, allowing 1 run on 5 hits. For the season, Carrasco, 19, is 3-2 with a 1.90 ERA for 8 starts. His 57 strikeouts rank fifth in the South Atlantic League. He was signed as an amateur free agent out of Barquisimeto, VZ, at age 16. RHP Brian Sanches picked up a couple of saves in 2 appearances as the Red Barons went 4-4 for the week, ending the 8-games with a loss Sunday to David Wells who was on a rehab assignment for Pawtucket . . . 2 of the wins were back-to-back shutouts on Friday and Saturday . . . A string of 20 consecutive scoreless innings ended when Patwucket scored 4 in the first inning Sunday against LHP Eude Brito . . . RHP Seung Hak Lee improved to 4-2 with 5.1 shutout innings on Friday . . . 4 pitchers combined for another shutout the next day . . . SWB’s bullpen has been lights out, led by 5 RHPs: Ryan Cameron (2-1, 0.98 ERA, 3 SV, 14 of 16 scoreless appearances, 23 SO, 18.1 IP, .167 opponents average) . . . Dan Giese (1-1, 1.29 ERA, 14 SO, 14 IP) . . . Clay Condrey (2-0, 1.19 ERA, 1 SV, 17.1 current scoreless innings streak, 11 of 13 scoreless appearances, .129 opponents BA) . . . Sanches (2-2, 1.42 ERA, 4 SV, 14 of 16 scoreless appearances, .113 opponents BA) . . . Travis Miniz (0-1, 2.00 ERA, 1 SV, 8.1 current scoreless innings streak) . . . 3.18 team ERA ranks third in International League. Long road trip to other end of Pennsylvania was very long, 1-6 playing in Altoona and Erie . . . Offense was 6-for-48 (.125) with runners in scoring position during the trip . . . RHP Scott Mathieson allowed 4 runs over 2 starts (1-0), fanning 15 in 14.1 IP. During Tuesday’s win, he retired 19 of the last 21 batters. His 67 strikeouts lead the Eastern League and rank second in all of the minor leagues . . . C Tom Gradoville (.310) sustained a broken jaw after being hit in the face by a pitch on Thursday; he’s out a minimum 6 weeks . . . C Jeff Winchester was promoted from Clearwater and homered in his first AA at-bat on Saturday, first game . . . Tonight, public address Dave “French” Bauman will announce his 2,000th consecutive Reading Phillies game at FirstEnergy Stadium when the Akron Aeros open a homestand. The Lancaster, PA, native took the microphone on April 14, 1978, and hasn’t missed a home game since. Price of gas was 60 cents a gallon when he started. Greg Legg’s team totaled 12 runs in losing 5 games but scored 24 in winning twice . . . 18 of those runs came on Thursday, 18-4, over Jupiter. C Tuffy Gosewisch had his biggest game in his 2-year pro career, 4-for-5, with 2 doubles, a homer and 5 RBI . . . RHP Julio De la Cruz topped out at 96 mph on the radar gun and struck out 10 in 6.1 IP to pick up his second win that night . . . LHPJames Happ gave up 3 earned runs over 2 starts and lost both. Sunday, 3 of the 5 hits he allowed were solo homers in a 4-2 setback. On Tuesday, he fanned 8 in 5 IP, but 4 unearned runs did him in. His 53 strikeouts are tied for third in the Florida State League. 4 wins, 2 losses, 1 rainout (Monday at Citizens Bank Park) against Hagerstown and Delmarva . . . The Blue Claws are 22-20 after starting the season 0-9 . . . Including last night, 32 of Lakewood’s 43 games have been against Hagerstown (16) and Delmarva (16) in the quirky South Atlantic League schedule . . . The BlueClaws begin an 8-game road trip tonight against two different teams, Lake County and West Virginia . . . LHP Matt Maloney picked up his fourth win with 7 strikeouts in 6 IP on Wednesday . . . RH reliever Andrew Barb recorded his sixth save and extended his scoreless inning streak to 14.2. For the season, Barb has a 0.69 ERA. Opponents are batting .161 against him. He last game up an earned run on April 20 . . . RF Julian Williams had 4 doubles among his 8 hits for the week . . . 1B Clay Harris closed out the week with a 5-game hitting streak and had 8 RBI for the week . . . Lakewood’s 8 shutouts are top in the SAL. 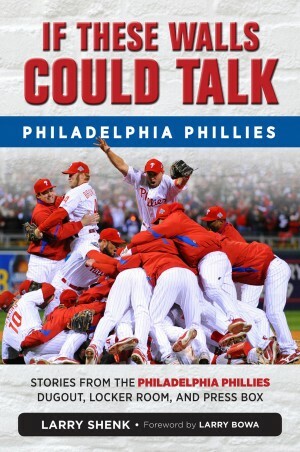 Is there another Cole Hamels or Chase Utley or Ryan Howard out there? That’s what the Phillies scouting staff is doing….zeroing in on the First-Year Player Draft that will take place via a telephone conference call with Major League Baseball and the other 29 clubs. The Phillies will have the 18th, 37th and 65th selections in the first two rounds. Their 18th slot comes from the Mets for signing Billy Wagner. The Phillies also receive a compensation pick for that signing, the 37th selection. Marti Wolever, the Director of Scouting, has been living on the road basically since February. He and the West and Midwest supervisors just met for three days in Las Vegas. Next, the Eastern area supervisors will meet in Atlanta for three days starting Sunday. On May 31 at Citizens Bank Park, Wolever will be joined by Jim Fregosi, Jr. and Mike Ledna (Scouting Coordinators), John Castleberry (East Regional Supervisor), Brian Kohlscheen (Midwest Regional Supervisor), Billy Moore (West Regional Supervisor) and the top executives in baseball administration. Their home for the next week will be a room called the Draft Room, located on the Hall of Fame Club level, just down the hall from Pat Gillick’s office. The huge table will be filled with laptops, written reports and telephones. White, erasable magnetic boards will nearly circle the room. The job in the final days before the draft is to boil down the prospects and list them in numerical order of preference. There are four main ranked boards, high school pitchers, high school players, college pitchers and college players. There’s also a “draft and follow” board, prospects that we will draft and then watch them play the rest of the summer and next spring. Every player on every board has his name on a magnet. Dallas Green usually has the duty of removing the names as they are selected. Area supervisors have been combing the country looking at high school and college players. Mike Arbuckle, Assistant General Manager, Scouting and Player Development, has been zigging and zagging across the country checking out the top prospects. Pat Gillick, John Vukovich (Special Assistant to the GM), Green (Senior Advisor to the GM) and Don Welke (Special Assistant to the GM) will also do occasional amateur scouting. Idea is to compile as many opinions as possible. Welke is a new name for Phillies fans. He came to the Phillies last November after Gillick was hired as the GM. Welke has been scouting since 1965, working for Pat in Toronto and Baltimore. He recently flew from Philadelphia to Atlanta, drove to Birmingham, AL, to scout a high school pitcher; then, flew to Houston, drove to Lubbock, TX, to see a college pitcher; then headed for Springfield, MO, to see another college pitcher. That took three days. His fourth day? “I don’t know until day three,” he said smiling. During his Toronto career, Welke served as the Blue Jays’ advance scout for two seasons, 1992-93. Welke was smiling that October. We, in Philly, were heartbroken. When it was suggested that he must live out of a suitcase, he replied, “That’s the life of a scout. When I was the advance scout, I stored a suitcase in the Marriott Hotels in Los Angeles, Chicago and New York. That way I had clothes in those cities and I didn’t have to carry a lot of luggage,” he said smiling. Smiling, by the way, comes easy for Welke. Of the current 25-man roster, 36% were drafted by the Phillies. It is a tribute to men who spend hours and hours sitting at small high school fields, looking for gems. From Therron Brockish to Roy Tanner, the area supervisors do a job that is so important to the organization. 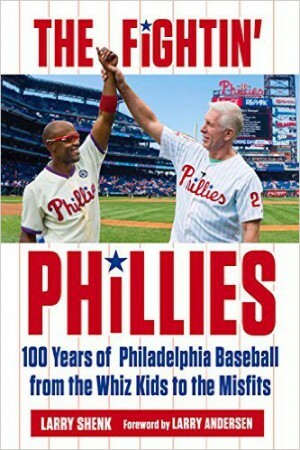 Their efforts result in the players that Phillies fans pack Citizens Bank Park to see. Pitcher: RHP Zack Segovia, Clearwater/Reading. Won final start at Clearwater and promoted to Reading where he won his AA debut. (See below). Segovia, 23, was the Phillies second round selection in 2002. This is his second full season since missing all of 2004 recovering from Tommy John surgery. Player: SS Bradley Harmon, Clearwater. Batted .364 for the week with 8 hits, 2 doubles, 1 homer and 2 RBI. A right-handed hitter, Harman was signed as an amateur free agent out of Ferntree, Australia, in 2003. Two wins, 3 losses (2 in extra innings) and 2 rainouts for the week . . . LHP Eude Brito won his fourth straight, 8 innings, 2 hits, 1 run, 0 earned run, 3 walks, 3 strikeouts on Wednesday. He leads the staff with a 4-1 record and is fourth in the International League with a 1.58 ERA. Opponents are batting .159 against him . . . CF Chris Roberson hit in his ninth consecutive game the same night . . . C Carlos Ruiz continues to share the IL batting lead (.385) even though he’s in the majors. He shares it with OF Melky Cabrera, who is now up with the Yankees. Tough week, 5 straight losses that ended with a Sunday win over Erie. Segovia, just promoted from Clearwater, went 7 innings, allowed 5 hits, 1 walk and 7 strikeouts. He leads all minor league pitchers in innings pitched, 56.1 . . . Reading wore pink game jerseys on Sunday which were raffled off after the game. More than $4,000 was raised for the PA Breast Cancer Coalition . . . RHP Nick Mattioni is 4-of-4 in saves since taking over as the closer on May 2 . . . CF Michael Bourn’s stolen base streak without being caught ended at 15 on Saturday. His 27 runs scored lead the Eastern League . . . Among EL strikeout leaders: Scott Mathieson (54) is second; LHP Gio Gonzalez (47) is seventh andLHP Daniel Haigwood (38) is tied for eighth. Haigwood had a no decision in a 1-0 loss to Erie. He allowed just a bunt single in the fifth over 6 innings in which he fanned a season-high 10. A 5-1 week in which a 6-game winning streak ended on Saturday . . . Friday win boosted their record to 19-16, best start in franchise history . . . Segovia improved to 5-1 with a win on Tuesday and earned a promotion to Reading. His 5 wins shared the Florida State League lead . . . LHP James Happ fanned 10 in 8 innings, a 3-0 win at Brevard County on Wednesday. RHP Nathan Johnson picked up his second save of the week in the same game . . . LHP Derek Griffith also picked up a win, getting 10 ground ball outs in 7 innings . . . 3B Pasquale Antoniato made his Clearwater debut in that game, 2 hits, a homer, 3 RBI. Ended with week 4-3 by winning the last 3 games . . . Two of the wins were shutouts, giving the Lakewood staff 8 for the season, tops in the South Atlantic League. Combined the four Phillies minor league teams have 16 shutouts, one more than all of last season . . . RHP Scott Mitchinson struck out a career-high 10 in picking up a 1-0 win on Tuesday . . . RHP Carlos Carrasco fanned a career-high 9 in 8 innings in a 4-0 win on Friday . . . RHP Kyle Kendrick lost on Wednesday, 3-1, but was promoted to Clearwater after going 3-2 with a 2.15 ERA in 7 starts. He led the SAL with 54 strikeouts . . . RHP Patrick Overholt improved to 2-0 in the bullpen and lowered his ERA to 0.90 on Saturday . . . Closer RHP Andy Barb leads the staff with 5 saves and a 0.77 ERA for 11 appearances. People are still talking about Aaron Rowand’s spectacular catch last Thursday….grocery stores, in church yesterday, McDonald’s and malls but probably not in movies or libraries. Talk in a movie or library and the whole world glares you down. It must have been replayed 1,000 times on television. Today, Aaron came to Citizens Bank Park to face the media which had been eager to interview him. The turnout was huge and aired live on Comcast SportsNet and Channel 3 starting at 12 noon. Inside Edition also taped a segment. You can read about the press conference on this website and also get a glimpse of the damage (“I have a face for radio,” he joked). Broken nose, 15 stitches under his left eye, stitches under his upper lip and non-displaced fractures around his left eye was the damage. Fortunately, his eyesight wasn’t affected. That is the real blessing. People are also talking about the catch online right here, through e-mails and message boards. So far, no snail mail. Thanks to the White Sox fans who took the time to comment. He obviously was a very popular player in the Windy City. I let him know you still love him. His popularity in Philadelphia soared because he gave up his body to make a play. “That’s the way I play,” he said. “People may say I’m stupid, but I go all out to win. I know my teammates, especially Gavin, were very appreciative. “I want to thank the fans for their well wishes,” he added. “Thank you (media) too for not hounding me when I left the hospital on Friday. I may not look good but I was worse than what you see today,” he smiled. Aaron said his cell phone hasn’t stopped ringing, over 100 messages. “Xavier Nady (the hitter) left a message, which was nice of him. I thought he would complain about losing three RBI,” Aaron continued. One point I would like to correct. It was mentioned that Aaron let the Phillies know about this situation last November. That is incorrect. We made an announcement following Thursday’s game that Aaron let us know early in the season. Someone obviously misunderstood. Custom made pads had to be ordered which meant it would require some lead time before they could be shipped. They arrived during the last homestand. Installation began Friday and was finished early today. When will he return? “I expect to be playing again when the 15 days are up,” he said. With an assist from Mother Nature, the Phillies finished a 7-1 homestand with a 2-0, win over the Mets in a game called after four and one-innings because of rain. Gavin Floyd picked up the win and Chase Utley homered but the the star of the game was center fielder Aaron Rowand. Rowand made a spectacular catch in the first inning. With the bases loaded and two outs, Xavier Nady sent a fly ball that looked as if it may go out. Rowan raced back and caught the ball as he crashed face-first into the top railing of the 6-foot high fence. He fell to the ground, held up his glove to show he caught the ball, rolled over and remained on ground face down. He eventually walked off the field on his own power, holding a towel over a bloody nose. As he exited the field through the right field gate, he received a standing ovation. X-rays at the ballpark revealed a broken nose and lacerations that required sutures at Rothman Institute at Thomas Jefferson University Hospital. He was admitted to the hospital and will have his nose repaired tomorrow. For the next 53 days, the Phillies will basically be living out of their suitcases as they play 18 games at friendly Citizens Bank Park and 29 in unfriendly waters. The schedule this year is quirky. During the first 34 games, 23 were at home. Next month, the Phillies are only home nine days all month. Between June 1 and July 2, the Phillies have just one weekend at home, those Devil Rays from Tampa. Fan support during the completed homestand was electric, resembling the atmosphere of a playoff game. Don’t think the Phillies didn’t feel it. Electricity will return when the Red Sox come to town for the May 19 weekend. What is needed is electricity for the Milwaukee and Washington series at the end of this month. A limited number of tickets are available for the Red Sox and again next month for the Yankees. Good seats for the 12 games against the Brewers, Nationals, Mets or Devil Rays can be had. Simply put, there aren’t many times to back the Phils at home through July 3 but good seats are available. During interleague games in Boston, New York and Baltimore, Phillies’ fans seem to pack those parks. It is wild to hear cheers for the Phillies in Fenway Park. Friday night in Cincinnati, Phillies fans from that area get to see Cole (Slaw) Hamels make his major league debut. Slaw? Chris Berman made we write that. Forgive me, Cole.